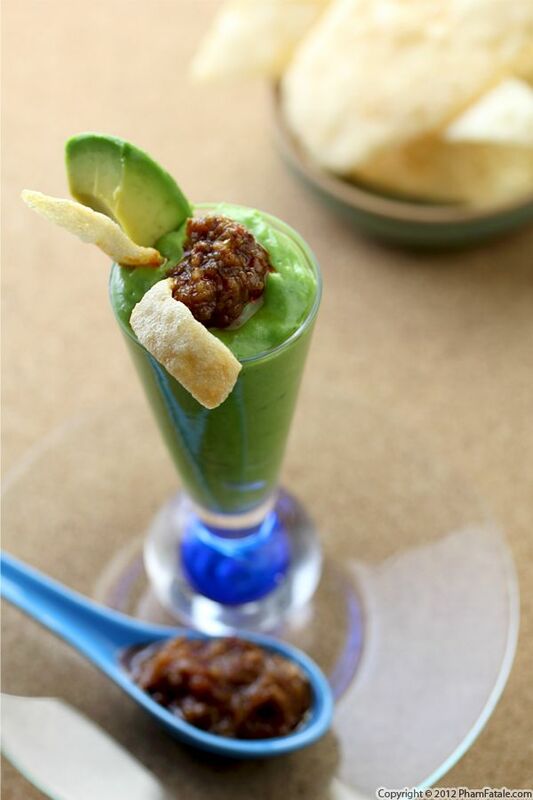 The idea for this little first course came from an attempt to introduce avocado to my 10-month old baby Aria. The cream soup consists of barley and toor lentils, avocado and spinach. It was so delicious, I thought I'd share the same dish with our dinner guests, with a few alterations, of course. I fancied up the recipe with fresh sautéed spicy crab and Vietnamese shrimp chips called bánh phồng tôm. The velvety texture of the soup against the tasty, cracker-like chips was heavenly. I love the idea of sharing meals with my daughter, and I’ll share more of our personal favorites. I think I have a little foodie in the making!